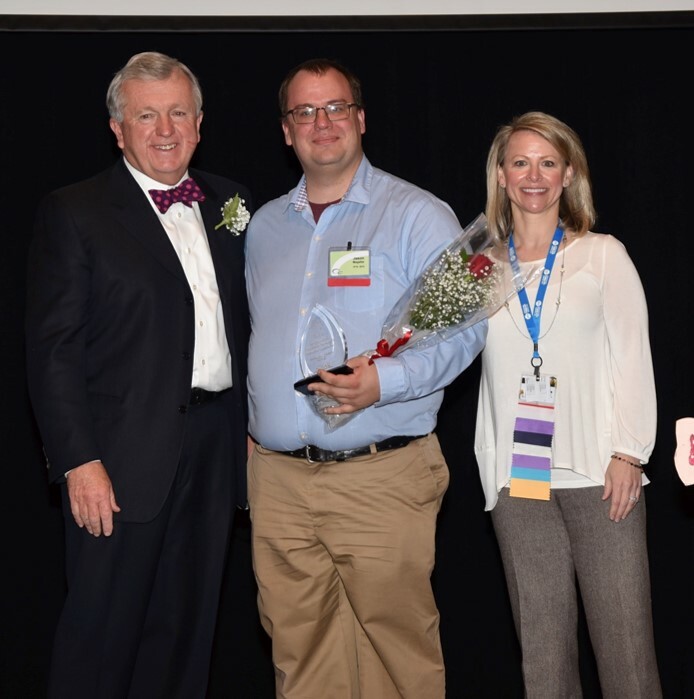 Jim Milder, PT is the recipient of the 2018 Babette Sanders Leadership & Service Award. This award is to honor and recognize a physical therapist who has demonstrated, over time, an exceptional level of support and dedication to physical therapy through his or her support and/or roles in the national (including Sections) and/or state association. Jim Milder, PT has served the profession in a truly remarkable number of different capacities within the Illinois Chapter, for the Private Practice section, and for the APTA. His leadership and service contributions have included elected and appointed positions over more than 40 year timespan. 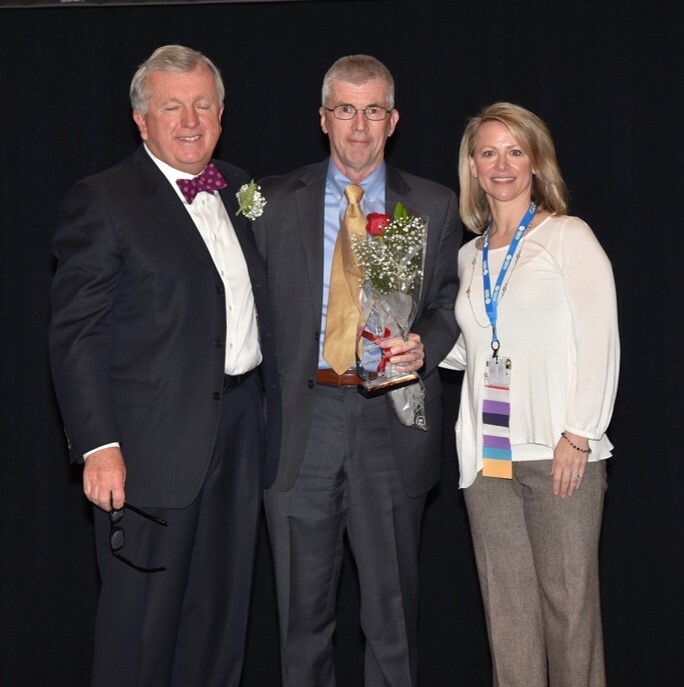 In 2011, Jim was the recipient of the Robert G. Dicus Award from the Private Practice section. This is the highest award bestowed by that section and it recognizes the value, commitment, clinical abilities and service that have been provided to the therapy community. One of Jim’s nominators wrote that “Jim is one of those people who brings multiple strengths to each leadership role he undertakes. He has immense passion for physical therapy as well as the highest integrity in his service to the IPTA and the profession. 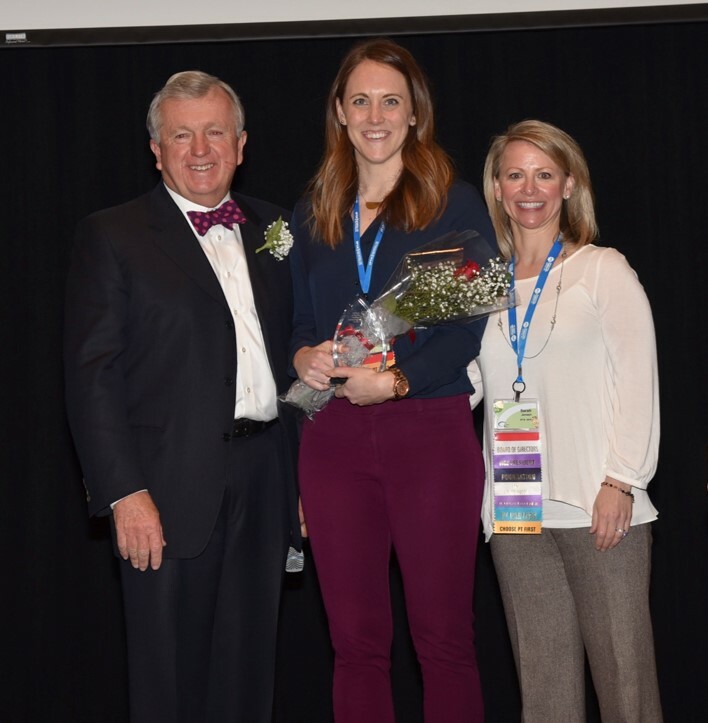 Megan Kennedy, PT, NCS is the recipient of the 2018 Clinical Educator of the Year Award. This award honors and recognizes a clinical educator of physical therapy who has who consistently demonstrated significant contributions to the quality of clinical education. Besides being an APTA certified clinical instructor, Megan Kennedy, PT, NCS, is the Coordinator of Inpatient Physical Therapy at University of Illinois’s Hospital and Health Systems and is the therapy lead on the interdisciplinary task force to improve outcomes for patients undergoing total joint replacements and the therapy representatives of the hospital wide falls committee. Her nominees said “Megan demonstrates the values of our profession in all she says and does, but also foster those values in the students she encounters.” Another nominee states “She holds a high expectation for her student PTs in the care that they provide and the clinical decisions they make… but she is there to guide them and assist them in the growing process to be the best physical therapists they can be.”. Thank you, Megan for your contributions and service in PT. The IPTA is pleased to have two recipients for the 2018 Physical Therapist of the Year Award. 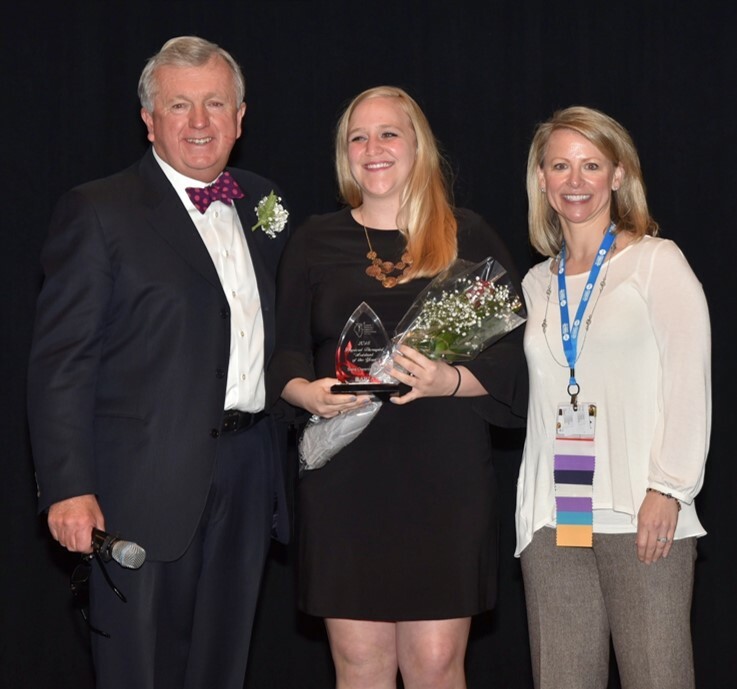 This award is presented to individuals who has demonstrated an exceptional level of support and dedication to physical therapy through his or her support and/or roles in the national and/or state association. 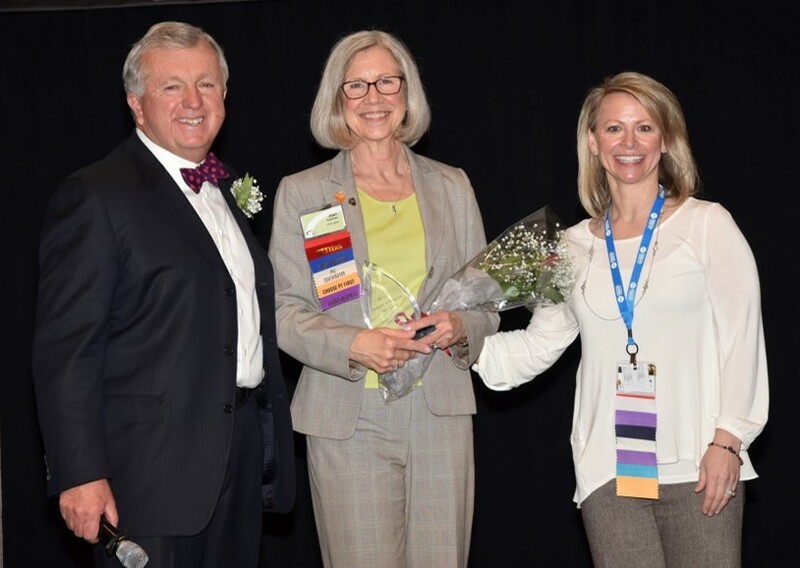 Jean Kestner, PT, MS has served the Illinois Chapter over a long career and demonstrated a strong commitment to the profession in multiple roles. 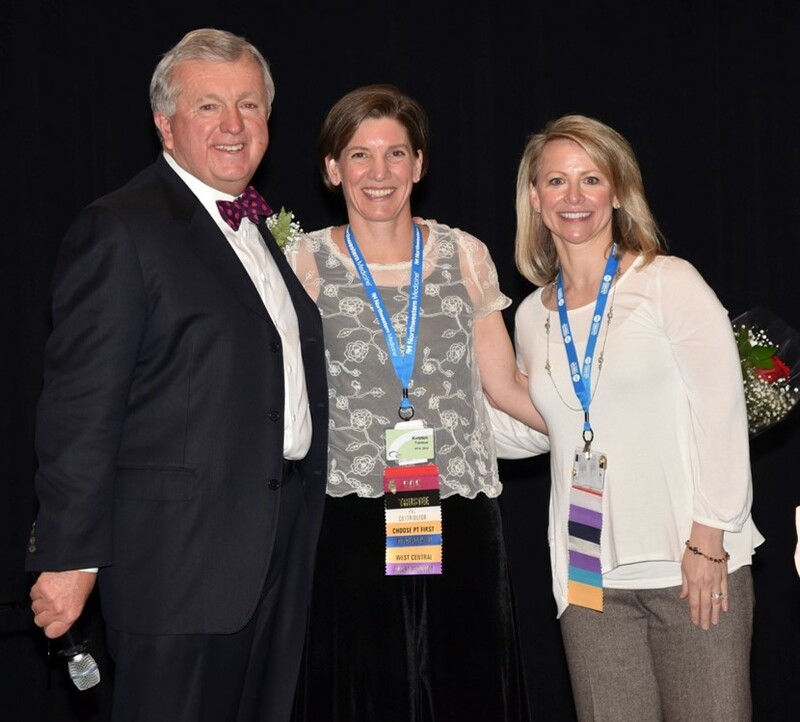 While her nominators spoke extensively about her contributions over the last 42 years, the contributions that she made in 2017 as the Western District Chair and as a delegate to the APTA House made her an excellent candidate for this award. As the Western District Chair, Jean worked to incorporate technology to increase member participation, created opportunity for student participation by hosting a meeting at Bradley University, and encouraged district members to run for office within the association and volunteer for committee work. Jean has also been an advocate for IPTA issues, including our #ChoosePT campaign and set a great example for our members by being a regular contributor to bot the IPTA and APTA PACs. Thank you Jean for your contributions to the Association. Kirsten, thank you for helping to move the physical therapy profession forward. Sara Owens, PTA is a Western District member who, in the 8 years since graduating from Illinois Central College, has distinguished herself as a leader. Sara has served as Western District’s Secretary/Treasurer as well as on the districts nominating committee and as an Assembly Representative. She currently serves on the IPTA Finance Committee. In 2017, after becoming a new mom – Sara took over as the Coordinator of Clinical Educator at her place of work, became the Coordinator of Clinical Excellence for her company’s quality circle charged with implementing annual competencies and also earned her certification in applied functional science. She also graduated from the Illinois Spine and Pain Institute as a Therapeutic Pain Specialist. Sara has clearly made significant contributions in 2017 and appears to be on track to contribute more in the future. Thank you Sara for your contributions to the Association. Representative Dan Burke is the recipient of the 2018 John Maselter Friend of Physical Therapy Award. 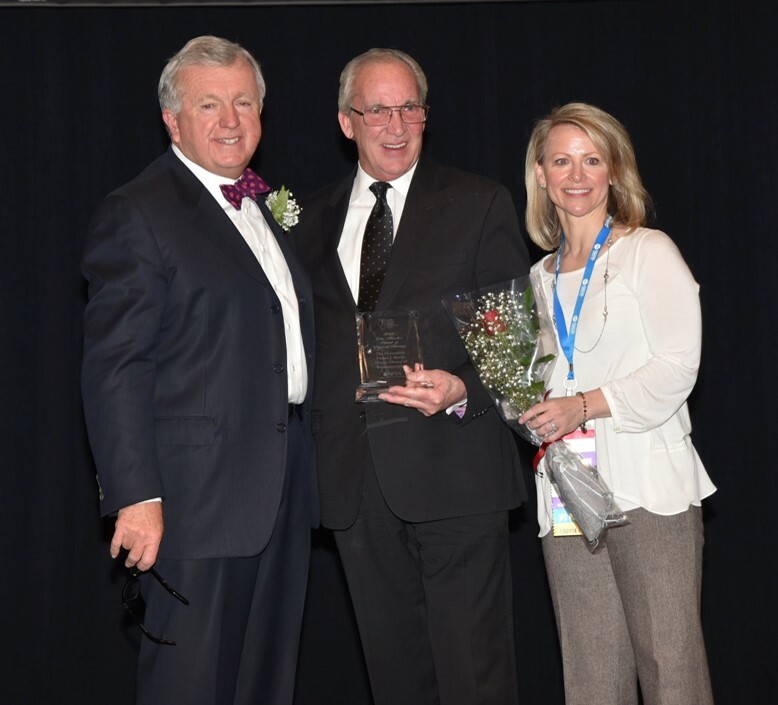 This award is given to acknowledge and honor an individual who has substantially supported the betterment of the practice of physical therapy in Illinois. Candidate is well known in Illinois for fostering quality physical therapy for the benefit of all, sharing expertise and/or communicating information on behalf of physical therapy with other health care professionals. Representative Burke has been a wonderful friend and advocate for physical therapy. His guidance, support and presence have given the IPTA the opportunity to purse and accomplish many of our policy goals in Illinois. Right now, as our chief sponsor of the direct access bill, Rep. Burke has been able to bring the many legislative influences to the table to negotiate an agreed bill. Representative Burke will be retiring at the end of this year, and he will be not greatly missed, not only by us, but by his constituents who will learn quickly how much this Illinois leader has done for his community, heath care professionals, and the welfare of our state. Samantha Caravette, SPT is in the final year of the DPT program at University of Illinois - Chicago. Those who qualify for the award are outstanding SPTs or SPTAs who exhibit superior scholastic ability and potential for future professional contribution. 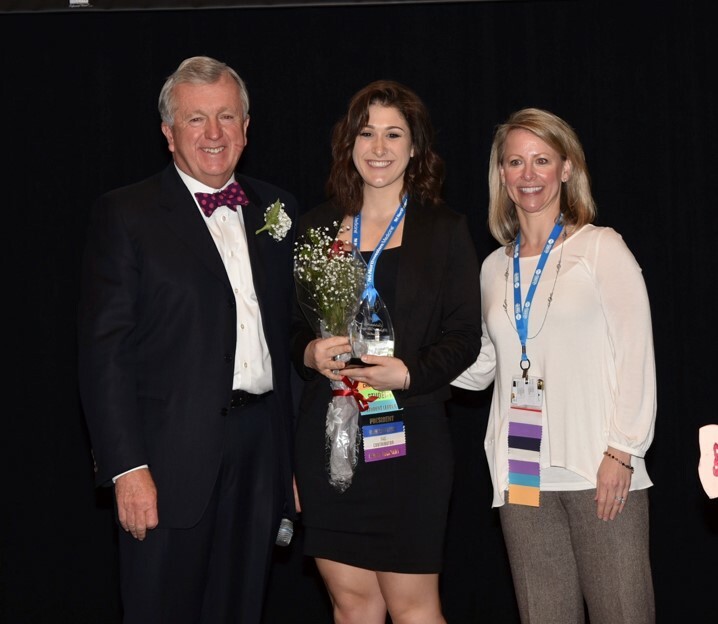 Sam Caravette, SPT is this year’s Outstanding SPT Award recipient and is recognized as being an outstanding student and leader and is developing her abilities as a peer mentor and teacher. She currently serves as President of the IPTA’s Student Special Interest Group (SSIG) and has also been the University of Illinois at Chicago’s student representative at IPTA’s Assembly in 2016 and 2017. Sam’s nominations articulated a very wide range of attributes that merit recognition. Her nominee’s state “Samantha is intelligent, professional, well-spoken and kind… we feel fortunate to have her as a student.” Another nominee wrote that “Sam is a student who does not seek accolades for her accomplishments and exceeds the performance expectations that define the outstanding student.” During her first clinical – her instructor commented that she was highly prepared at all times and is extremely compassionate. Thank you, Sam for demonstrating outstanding leadership and superior scholastic ability. Jason Magafas, SPTA is this year’s Outstanding SPTA Award recipient and is recognized as being an outstanding student who does very well academically while at the same time achieving an outstanding record of service and leadership to his academic institution and to the professional association. Jason currently serves as SPTA Director of the IPTA’s Student Special Interest Group (SSIG) and has also been an advocate during IPTA’s #ChoosePT Day in Springfield. Despite being the only IPTA member in his PTA program, Jason was able to get 100% of his classmates to contribute with every student donating at least $5 to the Illinois Physical Therapy Foundation. In total, he raised $465 for the Foundation and his school program was treated to a pizza party by the IPTA. Jason was on the President’s List for his entire academic career at Fox College. He also served as President of the inaugural PTA Club at Fox College, which included writing the constitution and bylaws, rallied his classmates to participate in PT Day of Service, and still found time to serve as one of the school’s first PTA Program mentors. Thank you, Jason for demonstrating outstanding leadership and superior scholastic ability.